Virgin Mobile yesterday launched their GSM services in India as we shared on TelecomTalk. Apart from the already existing CDMA service they have made an entrance into the GSM segment too. Bollywood celebrity Genelia D'Souza endorsed the brand launch in Mumbai. We bring you an exclusive sneak peakinto their tariff of GSM Mobile Service which is now available in Chennai, Tamilnadu, Kerala, Andrapradesh & Karnataka telecom circle. Virgin Mobile GSM Starter Kit costs Rs. 49 which includes VirginGSM SIM card with zero talktime and lifetime validity. Default tariff or Basic on the Starter kit is Local Re 1 per minute, STD Rs 1.50 per minute. To avail cheaper per minute you have to recharge with some denominations. First Recharge Coupons (FRC) are available of Rs 10, Rs 25, Rs 40, Rs 50 and Rs 100. All first recharges give full talk time, net of service tax and admin fee of Rs 2. After the FRC is pumped in your Virgin GSM account, you will be moved to Per Minute Plan for 365 days. But you have to pay Rs 1.50 as daily rental on Per Minute Plan. Virgin GSM also introduces Per Second Plan. To get it, you have to recharge with Rs 12 (incluedes talk time of	Rs 10.88). This per second plan will be valid for 365 days. And there is NO daily rental on per second plan. 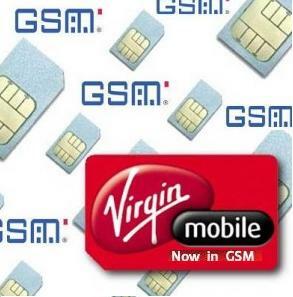 Virgin Mobile is as colorful & youthful on GSM, as they includes vBytes – the VAS services on the Virgin GSM SIM too. You can directly access it from your handset menu to get more! Services includes music, graphics, games, applications, info services, vChatter, vGenie, vRadio & lot more happening for you. Virgin Mobile GSM Customer Care can be reached at 121(tollfree) from your Virgin GSM prepaid mobile. From other connections buzz them at 600-16-666.Notes:* No Discounted/Free SMS on festive days of New Year's Eve, New Year, Diwali, Holi, Friendship's Day. * To continue the lifetime validity status minimum cumulative recharge of Rs 200 is required in every 180 days.